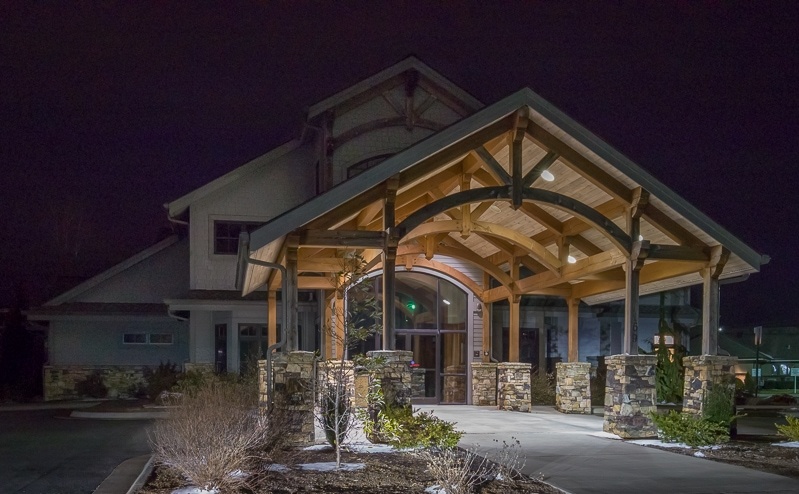 A Timber Frame entry can set the tone and mood for an entire establishment, as this entry suggests permanence and stability for the Hospitality House of Boone. 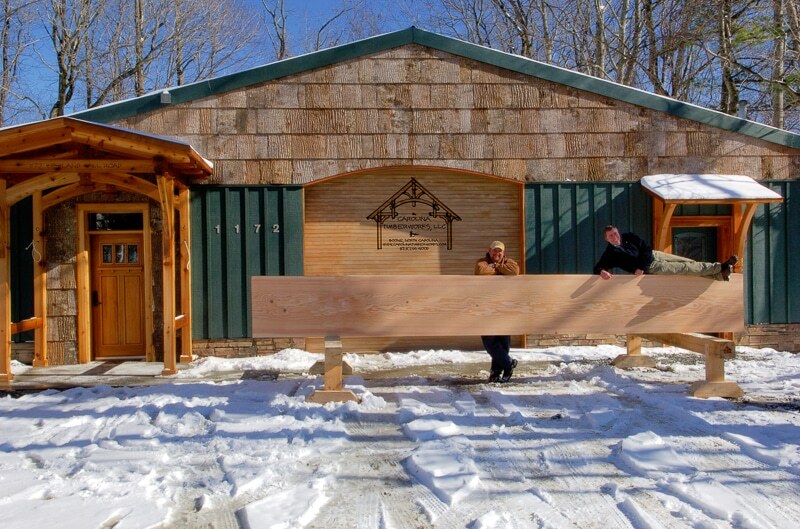 Carolina Timber Works co-owner Eric Morley (posing) and Greg Calloway (standing) with the largest radio-frequency kiln dried Douglas Fir timber east of the Mississippi. 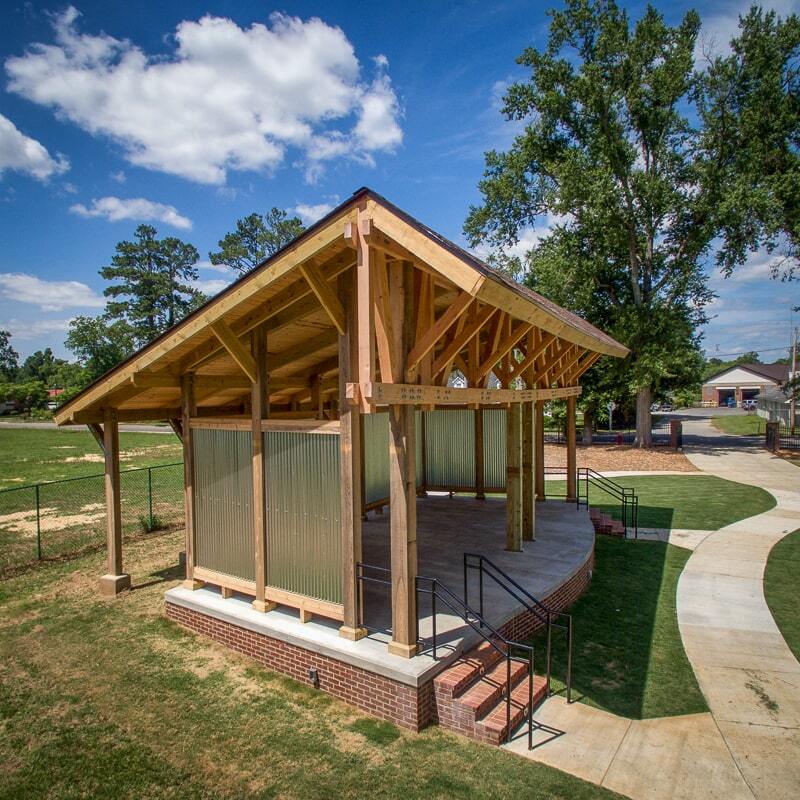 This magnificent timber is 8″ x 30″ x 20′ and free-of-heart-center (FOHC)! 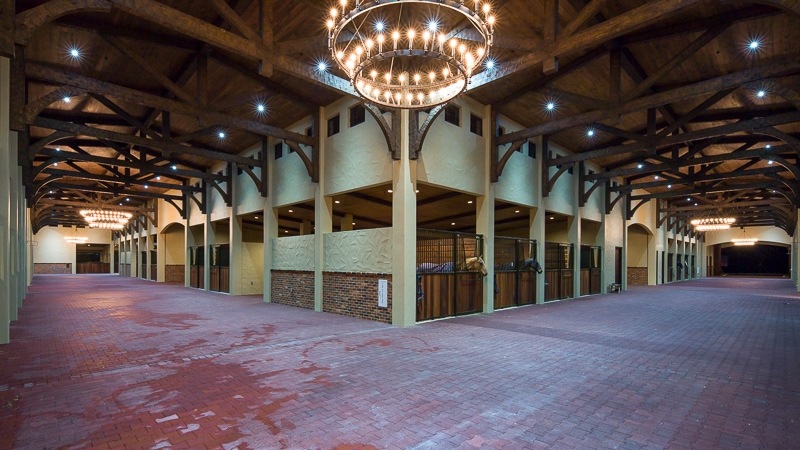 The Houston store is the fourth and largest in the brand’s storied history. 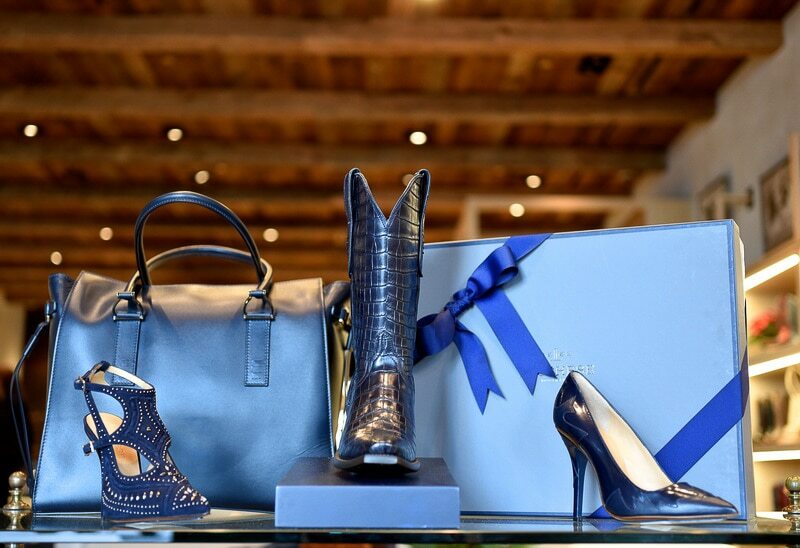 Century old reclaimed beams and paneling form the perfect backdrop for drop-dead gorgeous boots and bags. 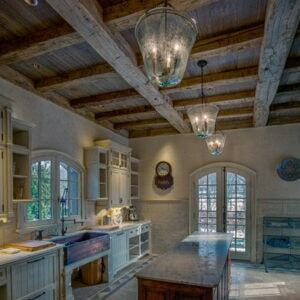 The rough wood look and feel makes the upscale treasures even more glamorous! 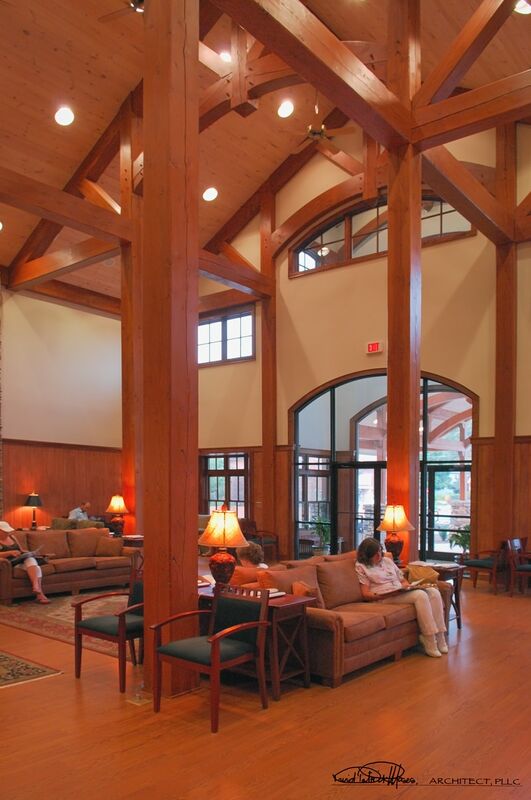 David Patrick Moses, the architect on this project, simply wows us with the sheer size of these very large (12″ x 12″) Douglas Fir posts in the waiting room of Boone Dermatology. 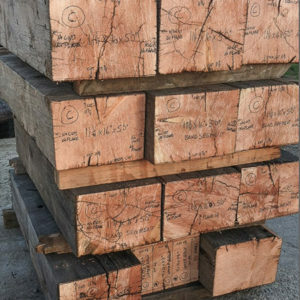 The timbers were box heart (meaning they were cut so as to include the center of the tree) and one characteristic of box heart timber is that it tends to check (split) more as it dries than free-of-heart timber. 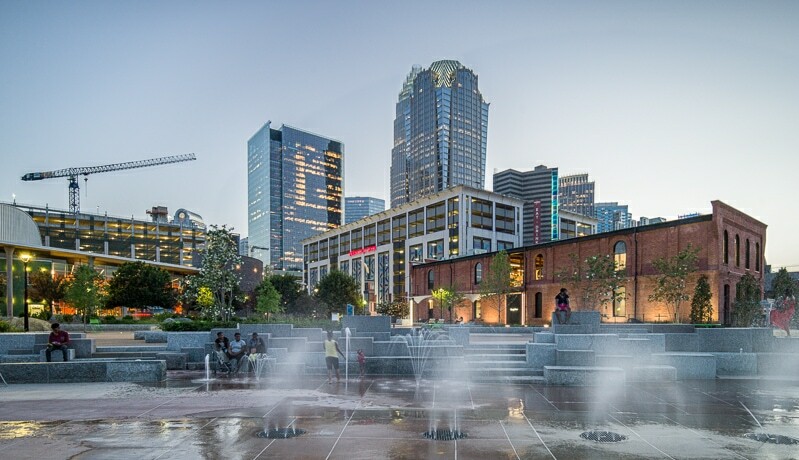 This add character without sacrificing structure. 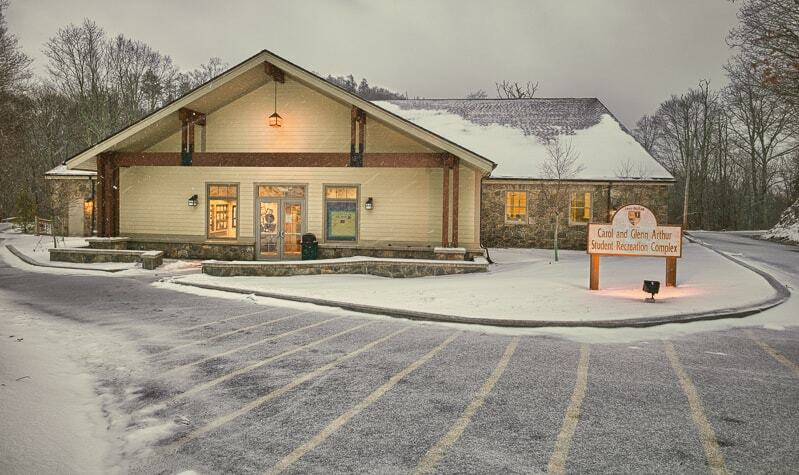 Pairs of timber posts add visual interests to a contemporary timber frame entry at the Student Rec complex at Lees-McRae College in Banner Elk, NC. 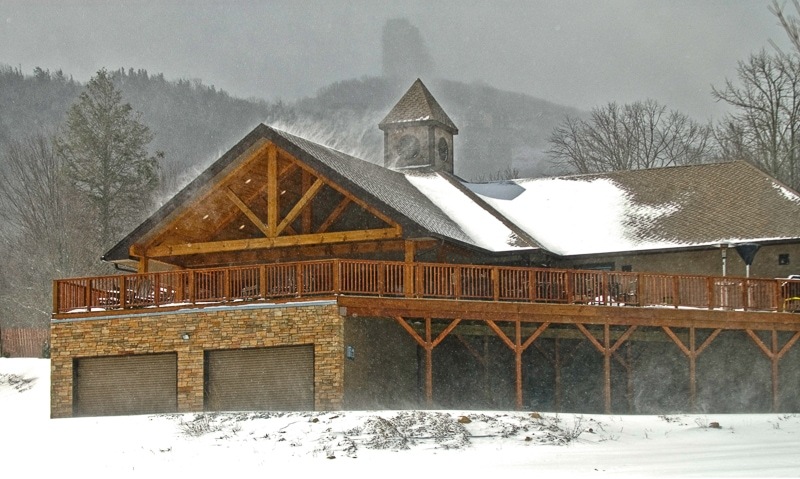 King Post trusses of rough-sawn Eastern White Pine grace the porch of the Clubhouse of Sugar Mountain Ski Resort. 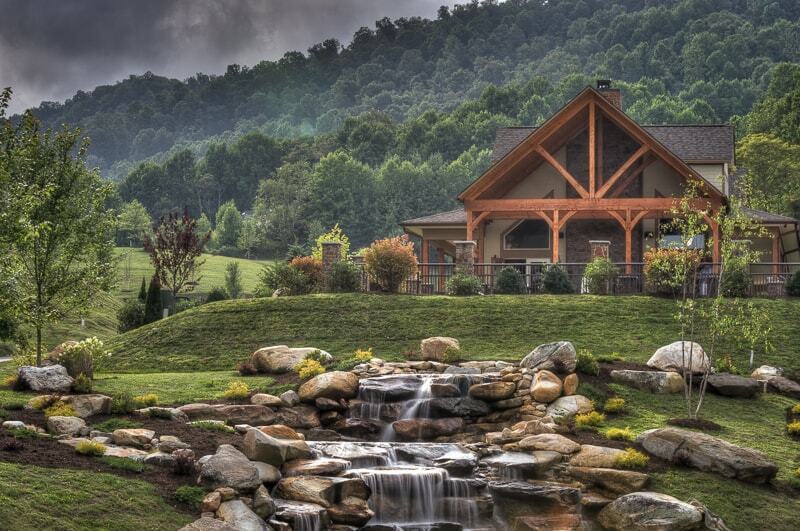 Designed by Pavelchak Architecture, and built by Enterline & Russell Builders of Blowing Rock, NC. 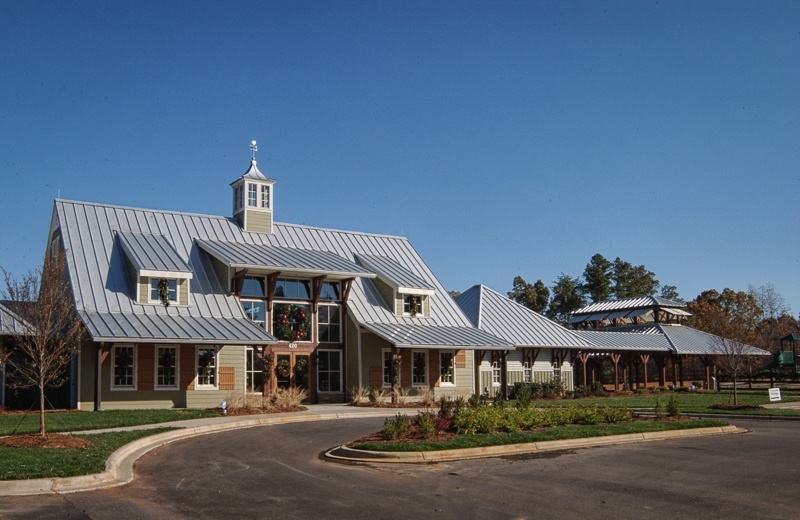 A favorite design choice of ours is the gently curved knee brace or struts. 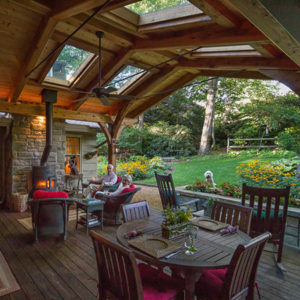 This softens the heavy lines, for a more organic look and feel. 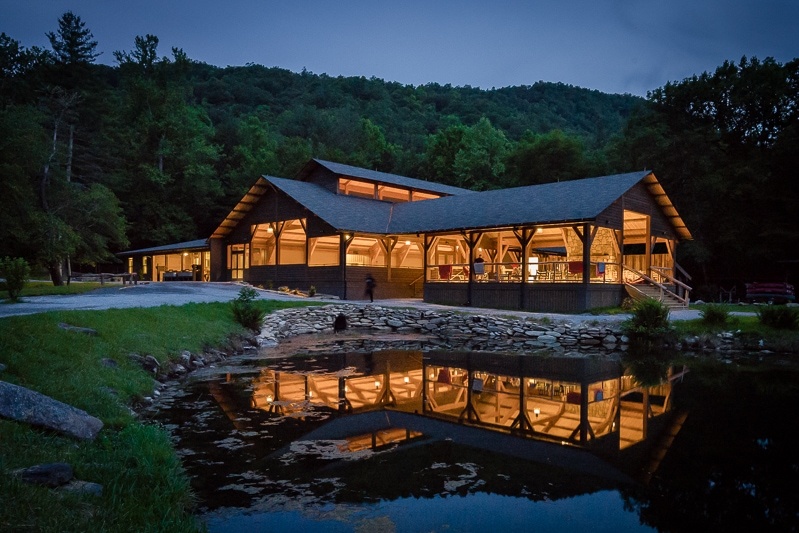 This Community Center with private pool and waterfalls, is just off the Blue Ridge Parkway, close to Linville Falls, North Carolina. 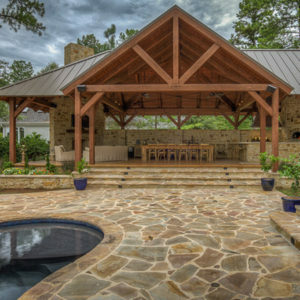 Carolina Timberworks crafted and installed the Douglas Fir timber frame covered porches. 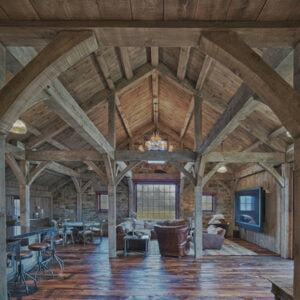 There’s something about Scissor Trusses that really catch the eye, right? Without a center King Post, they seem especially light. 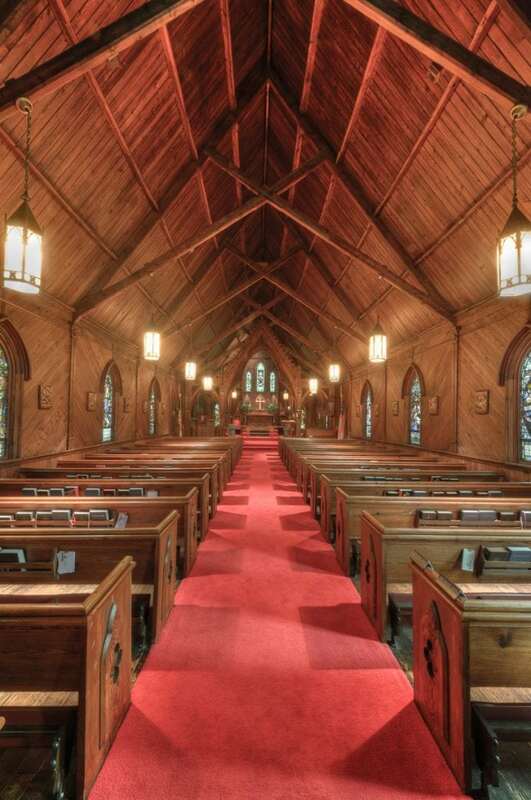 This was a historical timber restoration project we did for St. Luke’s Episcopal Church. 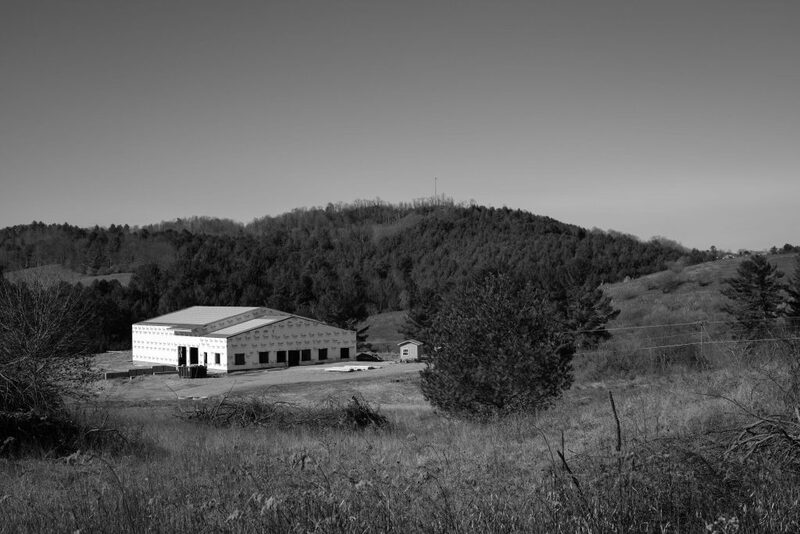 Two of the trusses were damaged in a wind storm. 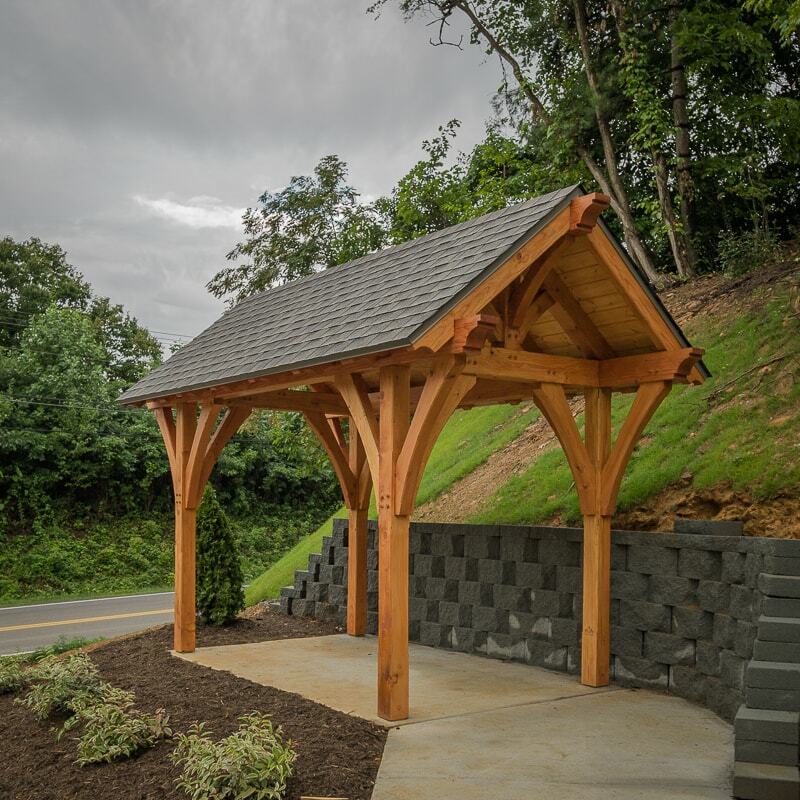 We used matching species (Antique Heart Pine), and even went so far as to cut the joinery on site without power tools in Lincolnton, NC. 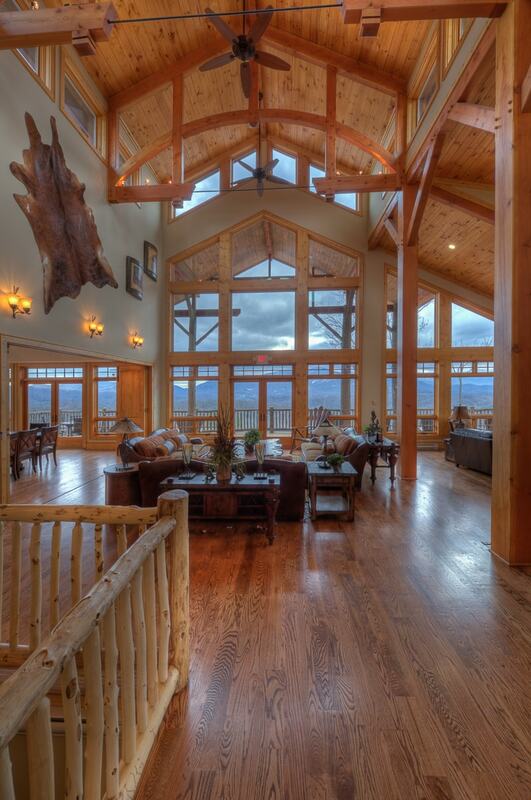 A light and airy timber frame design at the clubhouse in Headwaters at Banner Elk. 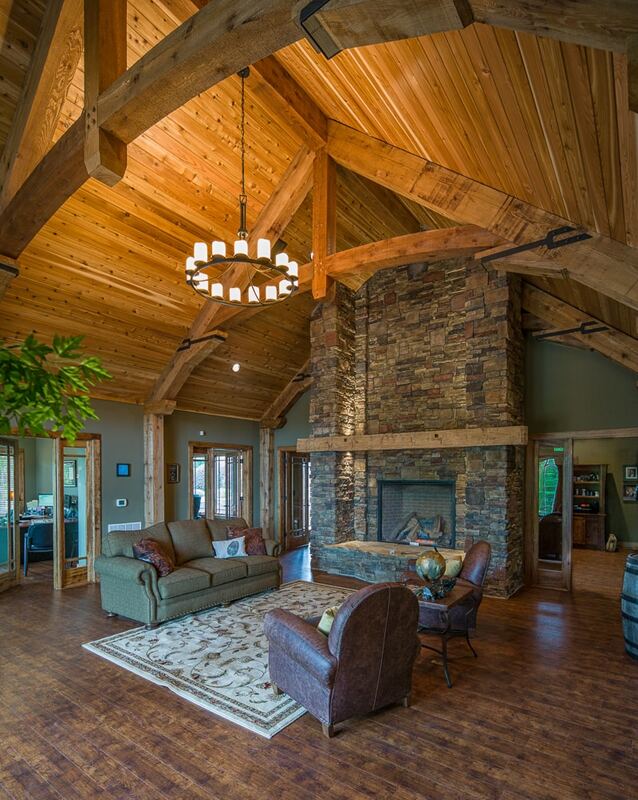 The light, clean grain of Douglas Fir partners with structural metal tie rods to allow spectacular mountain views. 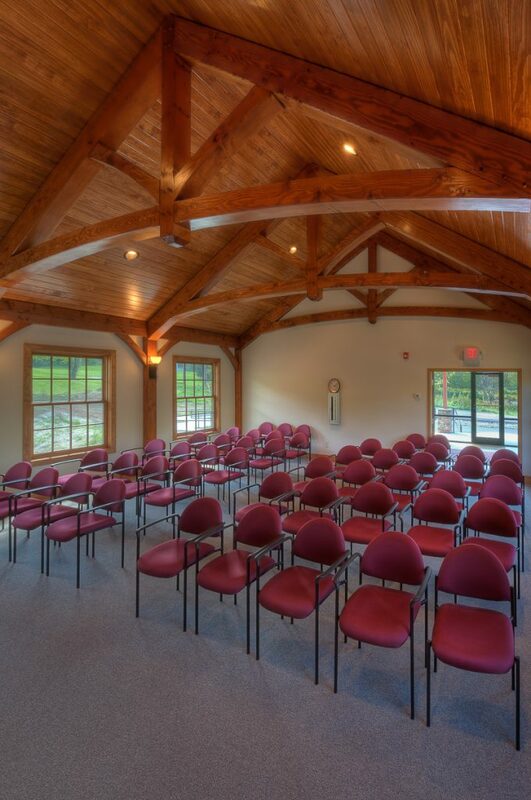 For a multi-purpose meeting room, such as the Sugar Mountain Town Hall, timber frame construction and timber trusses create beautiful spaces for public discussion. Our client wanted his offices to have the look and feel of a mountain lodge. 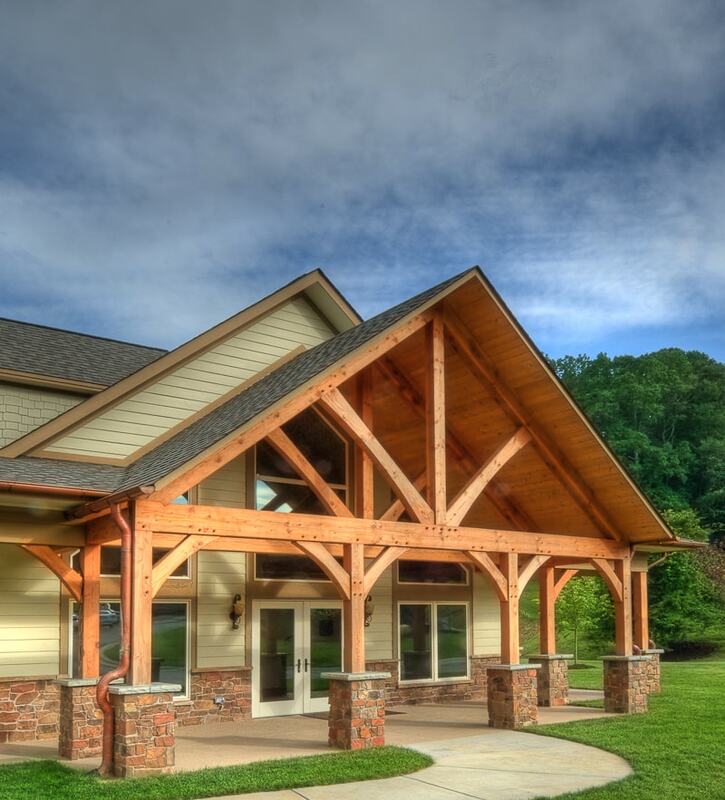 Timber frame construction fit the bill, and built and ininstalled rough sawn Western Red Cedar trusses in the Treadstone Group’s corporate headquarters in Denver, NC. 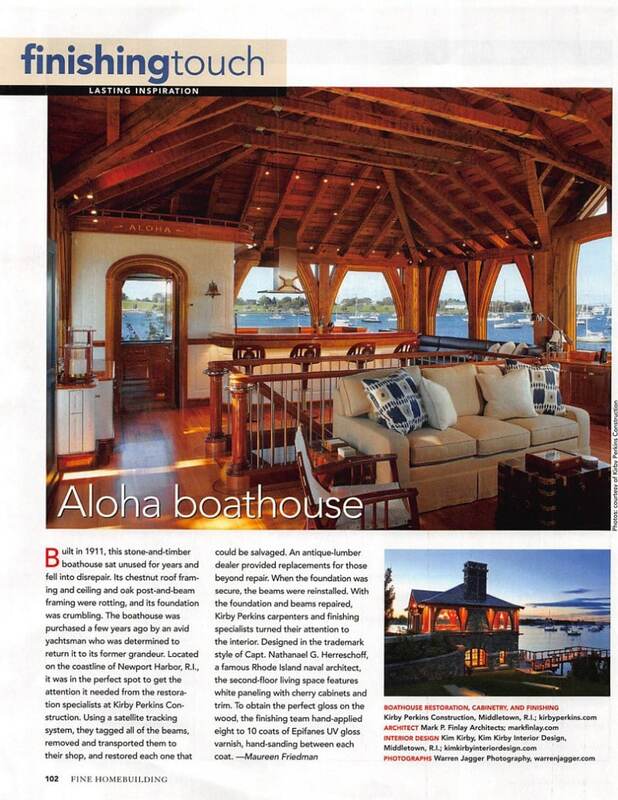 The inspiration for the fireplace and mantel came from the Bob Timberlake Gallery. 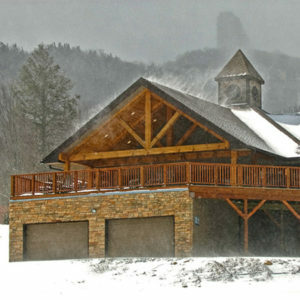 We enjoyed building the timber frame entertaining pavilion for Grandfather Vineyard & Winery in Banner Elk, NC. 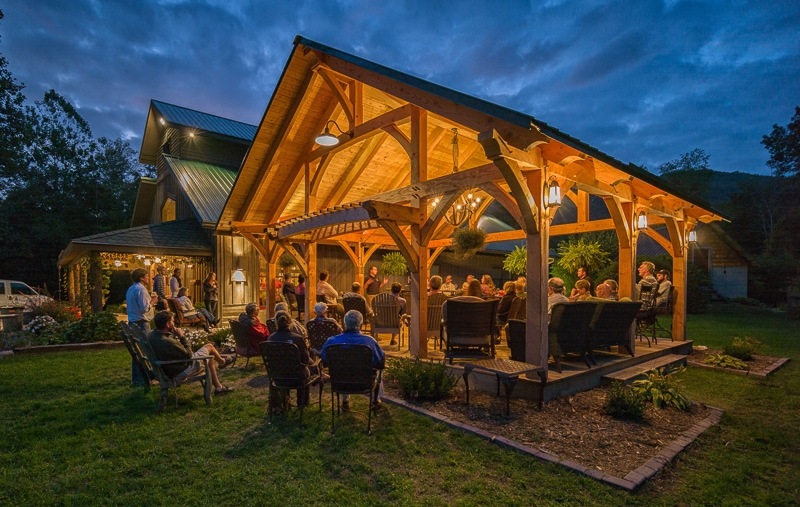 Owned by Steve & Sally Tatum, the pavilion is used for wine-tastings, private parties, weddings, and the occasional meeting of the High Country Home Builders Association (shown here). 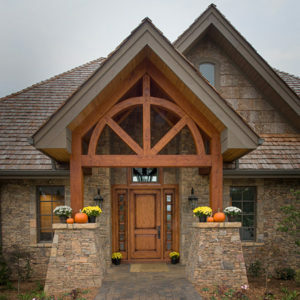 From the Piedmont of North Carolina, in Mooresville, NC comes this interesting design marrying metal and wood. 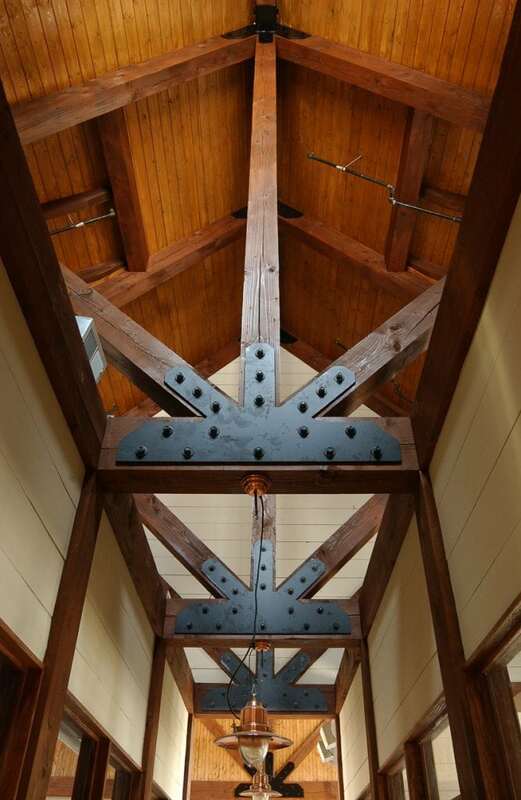 Metal plates connect 8×8 Douglas Fir struts & King Posts–a contrast to traditional pegged mortise and tenon joinery. 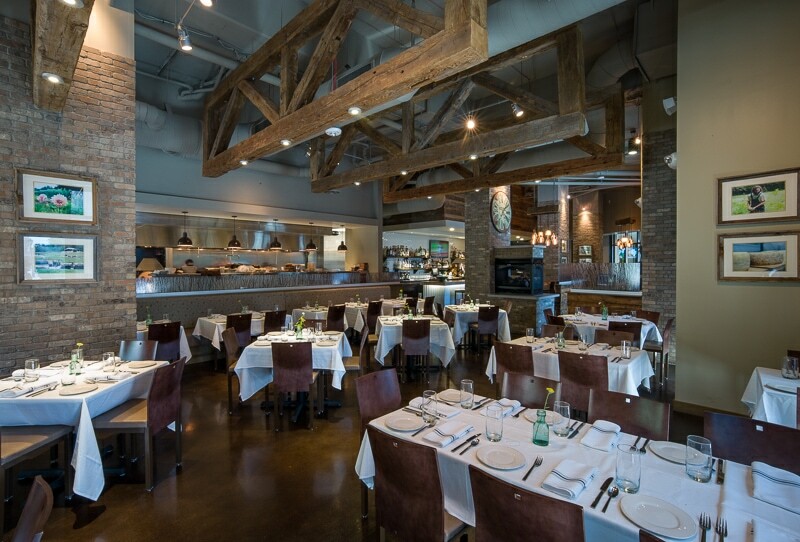 Decorative reclaimed wood Howe-type timber trusses in the Dogwood Southern Table restaurant in Charlotte. 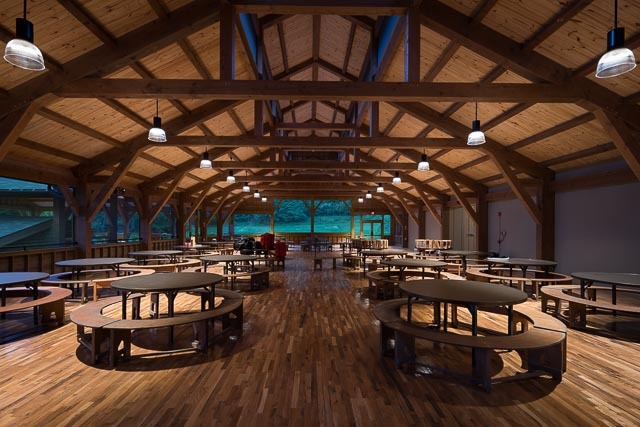 A breathtaking new timber frame Dining Hall awaits the arrival of summer campers at Gwynn Valley, a children’s summer camp in Brevard, NC.